Overtly masculine, this 9ct white gold ring features angular styling, dual finishes in both matt and polish and eleven channel set diamonds totalling 0.25ct. A stylish wedding ring designed to mark the start of your new chapter. 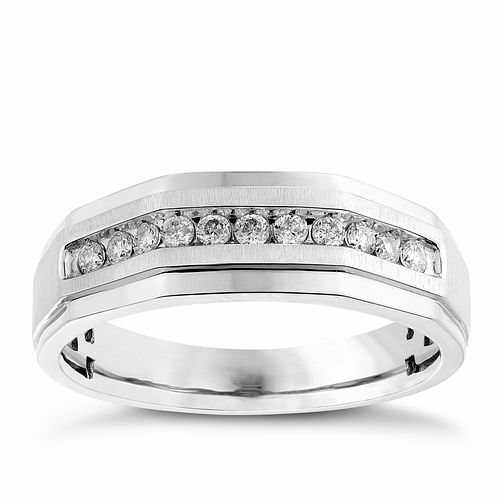 9ct men's white gold 0.25CT diamond ring is rated 4.0 out of 5 by 1. Rated 4 out of 5 by Anonymous from Nice product My husband loves this ring. Different to all other rings with the shape. Would recommend.